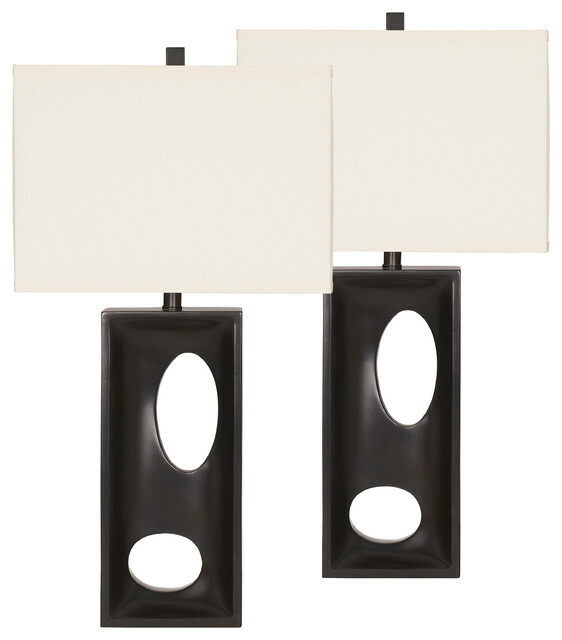 Lamps serve as a light source as well as a way to add to a room's decor. Adding a lamp to your room could be just the accessory that was missing to enhance the look and feel in an area. This contemporary table lamp will blend well in a multitude of places within the home. Cast your home in the warm glow of a stylish lamp that is sure to enhance the beauty of your home. W 16" / D 9.25" / H 30.75" / 42 lb.